When buying an investment property, it's essential to choose a location that is seeing strong economic growth such as the Seychelles islands. When looking at buying an investment property, it's important to keep in mind that this will be a long-term asset rather than something you'll likely want to resell quickly. This is especially true if you want to buy a holiday home that you may rent out to tourists. In this case, there are several elements that need to be given careful consideration, including location, economy and the local tourism industry. 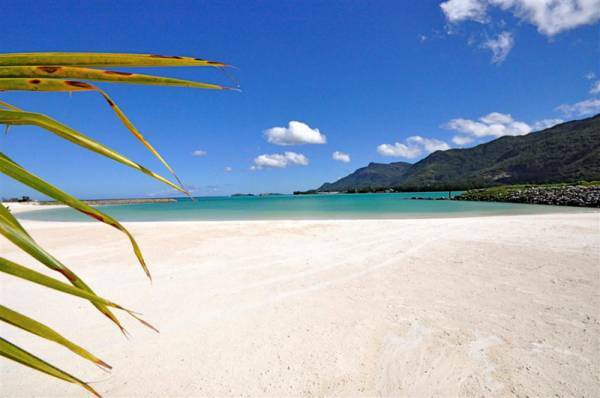 A destination that is seeing a considerable increase in attention is Seychelles. This beautiful location, which is renowned for its breathtaking views and pristine beaches, is rapidly becoming a leading spot for those seeking a break in paradise. This is largely because it gives tourists an ideal balance between modern amenities and island lifestyle. As an overseas investment, this is a prime area and a development such as Eden Island makes for a sound place to see a solid return on your money. It's situated in a prime location that is currently seeing an economic boom thanks to an increase in tourism. The reclaimed land mass is also a private estate, which gives your property a high level of security. Eden Island real estate has become highly sort after as an overseas investment. This isn't due solely to the fact that the properties are all built to the highest standards and given exclusive, luxury finishes. The development is also given a boost in value thanks to several surrounding elements. · Solid infrastructure – Eden Island is located just off the coast of Mahé, the main island of Seychelles. This gives residents easy access to the capital city and all it has to offer in terms of infrastructure. The country’s international airport is also located just outside the city. · Good climate – Even though it isn’t a good idea to get caught up in the beauty of a place when making an overseas investment, it is wise to note things like climate. Seychelles has excellent weather for the large majority of the year, making it an ideal destination for holidaymakers from all over the world who are seeking sunshine. This means that you’ll be able to rent out your property to tourists for most of the year, which can increase the returns on your investment significantly. · Modern amenities – All residents on the estate get access to the Clubhouse which is home to a fitness centre, deli, two swimming pools and a children’s play area. Once the shopping centre, Eden Plaza, is complete, this will offer visitors an exclusive retail experience. Each property also has its own mooring conveniently located in one of the many water ways throughout the development or in the main marina. Additionally, you can enjoy any of the pristine, private beaches around the island. Contact Eden Island to find out more about getting an investment property in the Seychelles archipelago.